It is extremely fast and economical. The machine under this process is easily used for welding on thin gauge metal to heavy plates. Welding cost is very economical. 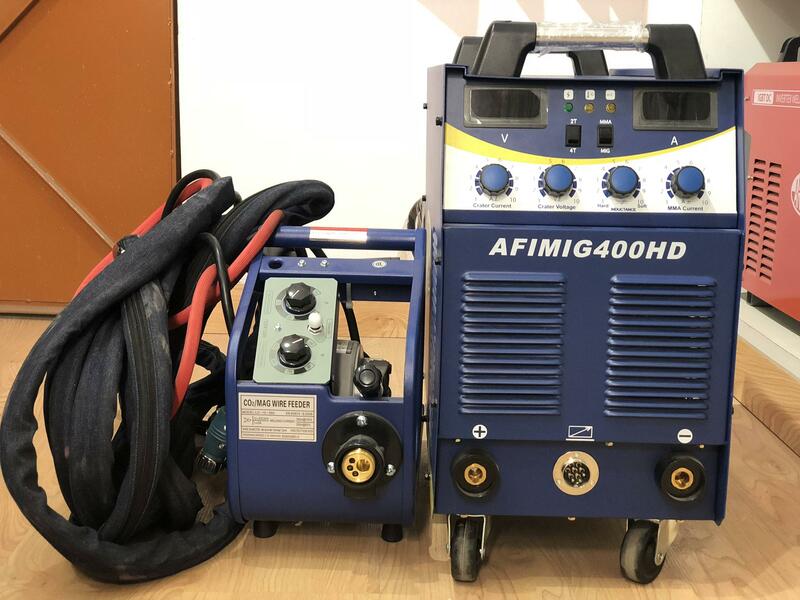 MIG/CO2 welding machines have a 100% duty cycle. This allows the machine to be run continuously without damage.Flat or constant-voltage type power sources Fig.2-b are conventionally used orsemi automatic and fully automatic processes involving a continuous electrode fed at a constant rate, such as MIG/CO2 welding, flux-cored arc welding and submerged-arc welding. 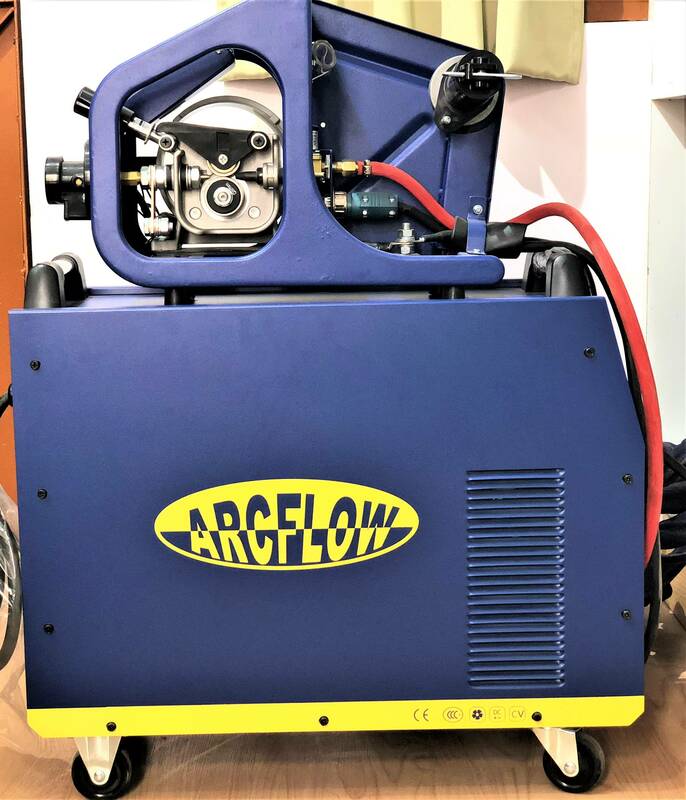 The flat type power source together with a continuous electrode fed at a constant wire-feed speed form essentially a self-regulating arc. The arc length and weld current are interrelated in such a way as to corrent sudden changes.